The teacher strike wave continues as more than 30,000 members of United Teachers Los Angeles walk picket lines not only for the higher wages that they deserve but also for the well-funded and great schools that the city's working-class students of color have long been systematically denied—a situation that has been exacerbated by a corporate reform-led school board and superintendent dead-set on privatizing the district. UTLA has in recent years been led by a militant, rank-and-file caucus that has shunted aside the old guard's narrow vision of service unionism in favor of a big-picture movement unionism that makes the struggles of teachers, parents and students one on and the same. 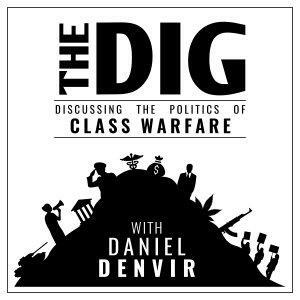 Sarah Jaffe is Dan's guest for a discussion of the strike, social reproduction and lessons from Rosa Luxemburg (interview was recorded on Wednesday).